It is without secret that for most of football’s history the defenders of Italian decent have been believed to have a unique talent when it comes to laying their body down in a bid to stop the round leather from crossing their goal line. The very word defenders and names like Franco Baresi and Paolo Maldini have become almost synonymous with each other. However, once in a while other capable hands from relatively unknown leagues or even nations serve to remind the rest of us that talent is never bounded by national boundaries or continents. You get to hear of Nemanja Vidic of Serbia, Daniel Agger of Denmark and Samuel Kuffour of Ghana. Manchester United were able to get a player of such a mould in the person of Eric Bailly who operated as a quiet surgical sweeper at La Liga side Villarreal before being scooped onto stardom at Jose Mourinho’s orders. As the transfer window looms and the Red Devils get ready to splash more cash into any available talent pool, one piece of business they have considered as a priority – given how swiftly they conducted it – was signing a center back capable of forging reliable pairing with the only one they currently have – Bailly. 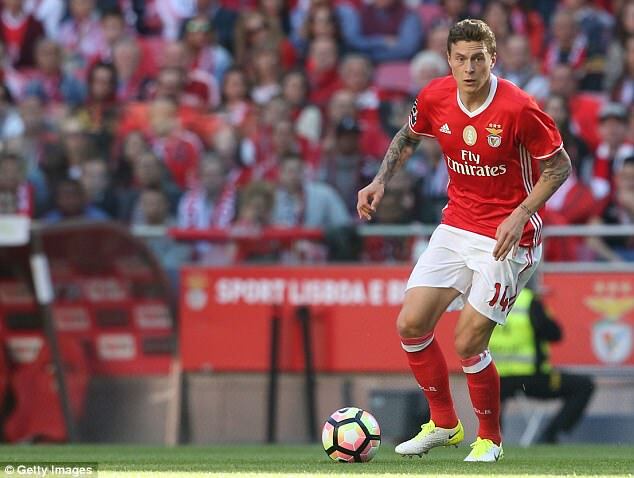 Victor Lindelof joined from Benfica and since the transfer was made official social media mills have taken it upin themselves to beat the drums of expectation. Given the same manner stars like EliaquimMangala and John Stones were hyped last time out and the fact that the Swede has had just 42 appearances with Benfica over a period of four years with last season being his only active one, maybe it is time rumour mongers start giving news signings the courtesy of getting on with their jobs first before hyping their confidence and capability into resulting underwhelming displays.